There’s a new $0.75 off 3 Contadina coupon available here: IE or Firefox. 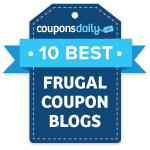 The best part–you should be able to print this coupon 10 times! The small cans of Contadina tomato paste and sauce are priced around $0.50 per can. After the $0.75/3 coupon, you may pay as low as $0.25 per can! With 10 coupons, you’ll really be able to stock up!